No Load Funds » Blog Archive » No-load mutual funds: Who has the best advice? You can spend a lot of time on the internet doing research from small to large investment firms. If you want to go in that direction, develop a list of the top twenty that seem to be recommended by all of the reputable investment companies. This is going to then require that you research not only the prospectus of each of the no-load mutual fund companies, but their individual company history. Delving into the details of the company will include any and all companies and corporations they may have as spin-off companies or divisions. Dollars are often re-directed into these companies and they may not be doing quite as well as the parent company. 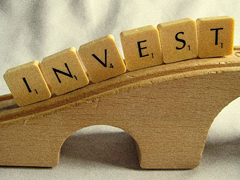 Find out how those companies rate in the list of investments. You don’t want any surprises by finding out that the dollars you invested were actually siphoned off to a number of low rated companies. If you don’t quite have the time to do as much of the research as you would like, locate a reputable investment counselor or consultant that you can delegate some of the more detailed work to. The consultant should be independent, without a hidden agenda that gives him or her incentives for recommending specific no-load mutual investments. An investment consultant can assist you in narrowing down your search to a top ten. After you get your top ten list, the final part of your research is ready to start. No-load mutual funds have a number of risks involved with them. They are not FDIC protected and they do have certain expenses. While you might find the lack of back end or front end expenses attractive, research the operating costs of each of your ten company considerations. Compare your list again with other online internet evaluations. You might want to do a search on the net to see if there are any comments or feedbacks from the general populace, but do this carefully. Some companies create their own blog areas and fill them with bogus information, touting their own company. If you do decide to use these sites, you will need to do a search on who owns and runs the site. The best method is to stick with the reputable investment house results. Compare the information on a number of sites and resources. Consult with your investment counselor to ensure that the dollars you want to spend are with the most reputable no-load mutual fund companies available.